The Ukrainian journalist is seeking a permit to call his family. Ukrainian consul Hennadiy Bareskalenko has finally been allowed to see Ukrainian journalist Roman Sushchenko illegally convicted in Russia, Sushchenko's daughter Yuliya has told Ukrinform. "The consul managed to father in the Lefortovo remand centre. He feels okay, if I can put it this way, considering all the conditions in which he has been for almost two years," she said. The Ukrainian journalist is seeking a permit to be able to communicate with his family over the phone. "He says hi. He has filed an application for a permit to call his family but nobody knows when it is going to be granted," she said. 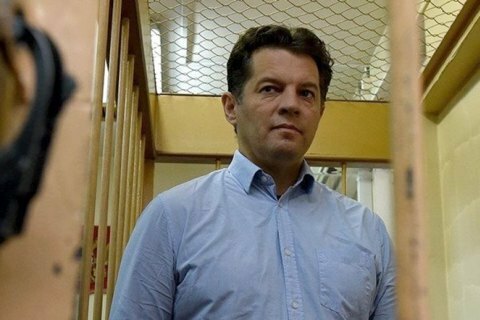 On 4 June, the Moscow city court found Ukrainian journalist Roman Sushchenko guilty of espionage and sentenced him to 12 years in a high-security colony, the RIA Novosti news agency has reported. Sushchenko, a French correspondent of the Ukrinform news agency, was detained in Moscow on 30 September 2016 in violation of international regulations. He arrived in Russia on a private family visit. On 7 October, he was charged with espionage. The Russian Federal Security Service (FSB) claimed that Sushchenko was a member of the Main Intelligence Directorate of the Ukrainian Defence Ministry and had been collecting confidential information about the Russian Armed Forces and the Russian Guard. The Ukrainian Main Intelligence Directorate dismissed the allegations.